The "American Aristocracy". Now there's an oxymoron for you. We're not supposed to have an aristocracy here in the USA. We kicked out the British and all their kings, queens, and privileged nobility two hundred and thirty-one years ago. Instead of all that, we established a society of a level playing field based not on birth, but on ability. One man, one vote. A representative government. Equal justice for all. Surely there could be no aristocracy in America. 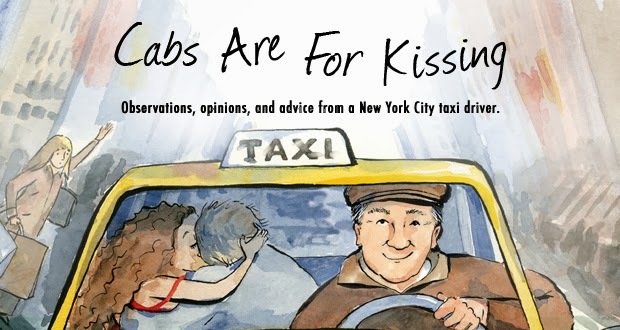 And I'll tell you something you learn from driving a cab in New York. You learn where they live. They live on Park and 5th Avenues between 60th Street and 96th Street. If that's where you live, good news, you are a member of the American upper class. And you're not just "well off". You are stinking rich. And most likely your parents and grandparents were, as well. I actually look at the American Aristocracy as a kind of ethnic group that is similar to other such groups in the city. There are sections of New York that are primarily identified by the places their residents originally came from or by the languages they speak: Spanish Harlem, Chinatown, Astoria with its Greeks, Flushing with its Koreans, and so on. And there are other sections of town that have become gathering places for people with similar interests or lifestyles: disaffected, artistic twenty-somethings in the East Village, gays in Chelsea, aspiring actors in overpriced, four-story walk-ups in Hell's Kitchen. Park Aveune and 5th Avenue are the places to be for people with the common denominators of having been born to or married into significant wealth and significant power. In this group we have people who never had to get a job just to pay their living expenses and people who sit on the boards of major institutions. We find things like trust funds, prep schools, debutante balls, charity events, and the Metropolitan Museum of Art. b) rowdy teenagers when in a group and not accompanied by an adult. c) 10 - 15 % tips. Never excessive. e) never drunk or loud. Now none of these are too bad and it's nothing I can't live with. But there is this one other characteristic that I must say really gets under my skin. It's an attitude I often pick up on that I am considered to be a servant, a lesser-than, a non-person. It's not done blatantly, it's a nuance thing. But when I do pick up on it and then consider that it's coming from someone who has never had to worry about how to pay his rent, it stirs up a deep resentment. Having said all this, I want to tell you about a fare I had last Saturday around 6:30 pm. I was hailed at 83rd Street and Madison Avenue by a waiter. He came up to the side of my cab and asked me to make a left on 83rd and pull up in front of his restaurant, Giovanni's, a little hole in the wall Italian joint I'd never noticed before. A regular customer would be coming out - one who will tip me well, he assured me - and would I mind waiting a minute or two? Please? It took a minute or so for the waiter to re-appear and then I understood a little better why there was some anxiety in his manner. There was not one passenger, there were three - a seventy-ish man, an elderly woman who was in a wheelchair, and a young, black woman who was the nurse to that woman. Some taxi drivers are cruelly unwilling to put up with the hassle of getting a wheelchair-bound passenger into the cab and have been known to drive off. I suspected that this may have happened to this waiter in the past. But he needn't have been worried. I would never do that. I was ready to assist the crippled woman into the back seat and put the wheelchair into the trunk, but it turned out this was the job of the nurse. So all I had to do was watch the proceedings and say a few words to my passengers to make them feel at ease. I asked the elderly lady if she had enjoyed her meal and she stared through me blankly. And then, judging by her lack of reaction to anything that was going on around her, I realized she was in a demented state. Or perhaps "senile" or "Alzheimer's" would be better descriptions. In any case, this was a sad story that I was witnessing. We were finally all in the cab, with the gentleman sitting up front with me, and I was told their destination was 75th Street and 5th Avenue. A very short ride to a prime American Aristocracy location. As we made the left from 83rd onto 5th it occurred to me that I have had far more elderly, wheelchair-bound passengers in my cab from Park or 5th Avenue buildings than I have had from other parts of the city. And I realized the reason for this was that wealthy people can afford to pay for their care in their own homes. Other people are placed in nursing homes or die at a younger age because they can't afford the best medical treatment. It seemed to me to be yet another example of the privilege of the wealthy. We drove quickly down 5th Avenue to 75th Street and in the minute or so that it took to get there the man sitting to my right said not a word to me. After I stopped the cab in front of their building a doorman came running out to open the door and the procedure of extricating the elderly lady from the cab went into motion with the nurse and the doorman doing the honors. The fare was $4.90. As the gentleman reached into his pocket to find his money, I braced myself for the 10 % tip. But I was wrong. He gave me a ten and told me to keep the change - double the meter. The waiter had not lied. "Don't get old," he said. It said something to me that I already knew but needed to be reminded of again. That if you've got enough food to eat and a roof over your head, you're basically in the same neighborhood as the guy on 5th Avenue. The human condition does not have a street address. Well done, and good pictures too. A well told story, and very true. "don't get old" has been said to me countless times by struggling older fares. When I die I want to go in my sleep like my Dad did. Not screaming and shouting like his passengers. "The human condition does not have a street address." so profound, perfectly put, and inarguable. But having money truly fluffs up one's pillows.